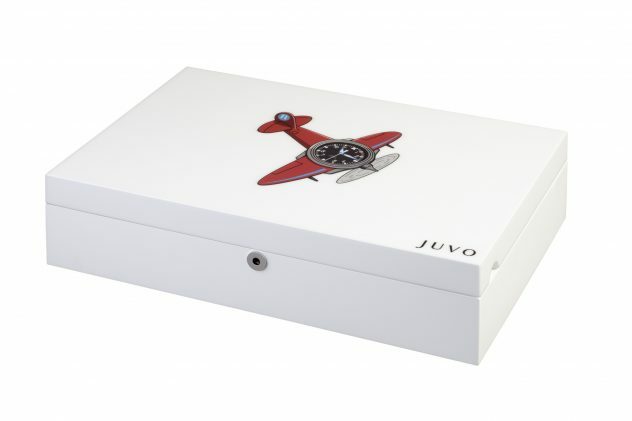 Press Release – After a successful launch of watch winders in 2016, JUVO has taken on the same challeng to offer contemporary watch boxes, designed for Watch enthusiasts, offered at affordable prices. The collaboration has produced two watch boxes, limited to 100 pieces each. The first watch box has a piano white lacquer finish with the illustration of a Desk Diver. 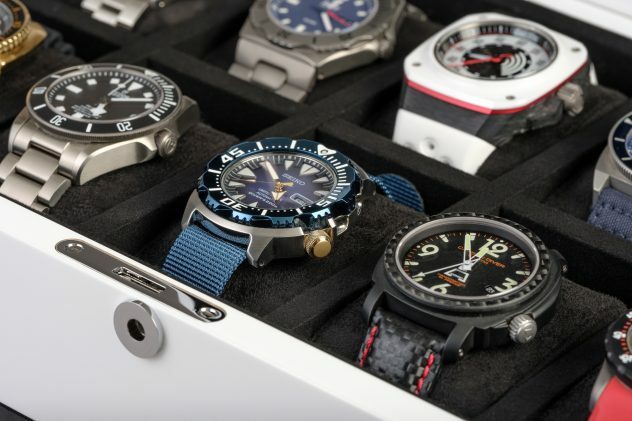 Desk Diver is a lighthearted jargon used by watch enthusiasts for mostly wearing divers watches for everyday office wear. We wear our Rolex Sea-Dweller, capable of going 1,200 meters under water, to our mundane desk jobs, and proudly share the tales of scars we put on the case by accidently hitting the side of the desk. 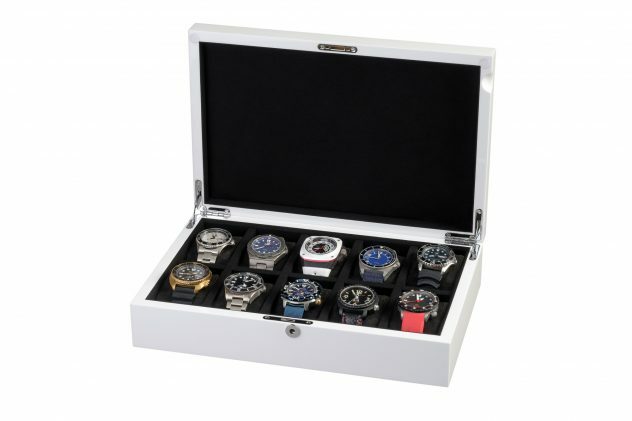 The second watch box also has a piano white lacquer finish, but with the illustration of a propeller plane with a Pilots watch dial over the cockpit. The dial in the illustration highlights distinctive features of the pilots watch with the white triangle at 12’o clock, easy to-read hour numbers and minute markers, and steel blue hands with white luminous coating. 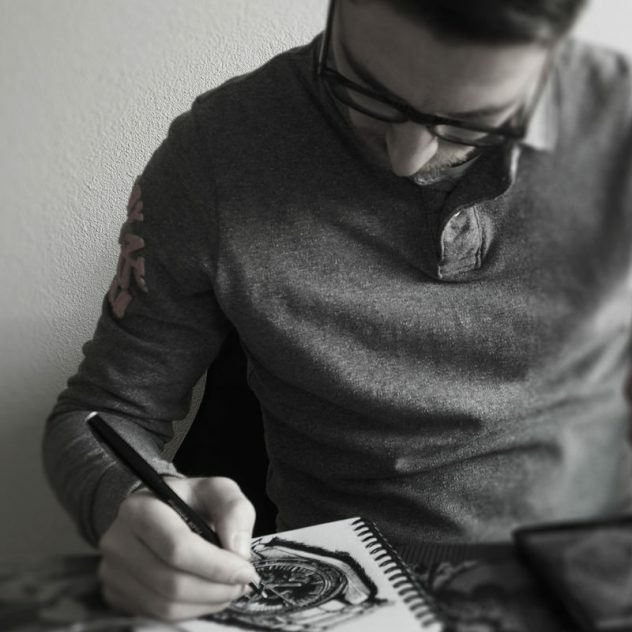 It is a tribute to iconic pilot watch brands like IWC and STOWA. 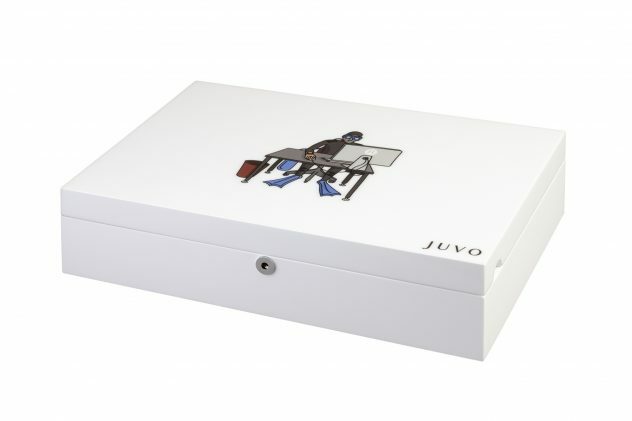 – The JUVO watch box has a piano white finish with multiple coats of white lacquer to give it a perfect high gloss finish. – Dimensions in inches : 13.5“ wide, 3.1“ high, 9“. Both boxes are limited to 100 pieces each, and priced at $299. Delivery is scheduled for August.